US President Donald Trump will hold a second summit with North Korean leader Kim Jong Un in late February but will maintain economic sanctions on Pyongyang, the White House said on Friday after Trump met Pyongyang’s top nuclear negotiator. He had been expected to deliver a letter from Kim Jong-un to Mr Trump. But not a great deal was achieved in the first summit, despite the international attention and headlines. Very few are convinced much more will be achieved by this summit apart from creating some great PR for both leaders. “President Donald J Trump met with Kim Yong Chol for an hour and a half to discuss denuclearization and a second summit, which will take place near the end of February,” White House spokeswoman Sarah Sanders said. She said a location would be announced later. 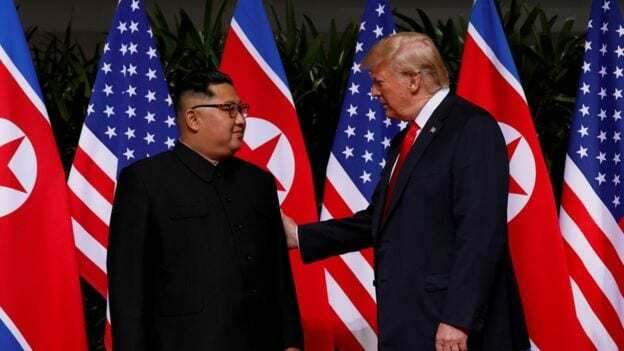 The summit was announced even though there has been no indication of any narrowing of differences over the US demands that North Korea abandon a nuclear weapons program that threatens the United States and Pyongyang’s demands for a lifting of punishing sanctions. South Korea will work with the United States and other countries to “achieve concrete and practical results toward complete denuclearization and a lasting peace regime through the North Korea-US summit…,” presidential spokesman Kim Eui-kyeom said in a statement on Saturday. South Korea will also expand the inter-Korean dialogue to help a successful meeting between Trump and Kim, he added. Critics of US efforts say the first summit only boosted Kim’s international stature without much to show for it, and some believe Trump may see a second meeting as a way of distracting from his domestic troubles. Political commentators suggest that the US administration need a distraction from Trumps – Russia investigation and are forcing this meeting to bury the headlines. The last summit was a rollercoaster in itself, it dominated media headlines as the drama unfolded, it started and then it was cancelled and then restarted after a hand-delivered letter to Mr Trump from Mr Kim.